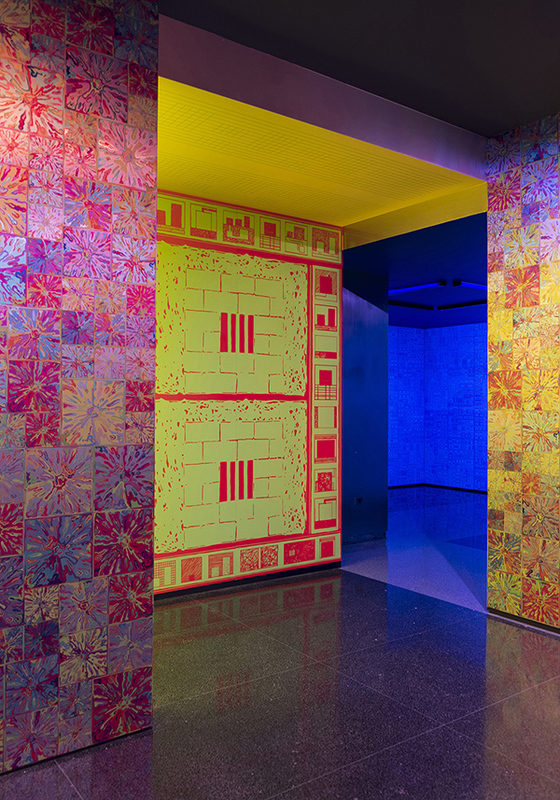 Tom McGlynn interviews painter Peter Halley on the occasion of a new installation of Halley's work at Lever House entitled New York, New York. Halley remarks: "I just don’t think the power of abstraction is going away. Our whole cultural universe is built on abstraction, beginning with the abstraction that is money. But in the twentieth century, abstraction came to dominate our systems of knowledge as well. For example, DNA and sub-atomic particles are all abstract constructs to explain the behavior of the physical world. In the same way, the social sciences divide people into abstract categories to describe their social identity and psychological makeup. Keep in mind that I don’t refer to my paintings as abstract. I call them diagrammatic. From the beginning, I’ve tried to diagram the predetermined pathways along which we travel to isolated compartmentalized spaces—though this system is also the result of systematic abstraction."